To apply for a position at All County Paving, please email your resume to jobs@allcountypaving.com with your name and the title of the job you are applying for as the subject. 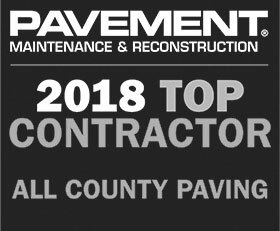 All County Paving is seeking an experienced Asphalt Milling Supervisor . Due to our expansion we have an immediate opening for a qualified Asphalt Milling Supervisor experienced in asphalt paving and milling. Operator positions are also available for experienced applicants. The Asphalt Milling Supervisor coordinates the activities of workers engaged in asphalt milling surfaces of highways, streets and parking lots. This is a highly skilled position involving the control and operation of an asphalt milling machine as well as a bobcat skid steer with milling head and power broom attachment. Operate asphalt milling machine travel controls. Operate asphalt milling machine grade controls. Perform periodic routine maintenance as needed. The Asphalt Milling Supervisor is required to work well with a crew and to work independently when required. Candidates MUST have 3+ years of paving experience. Full time work, good pay with benefits available which include medical insurance and paid vacation (PTO). Plus, pension and profit sharing plans. Hours may vary and include nights and weekends. Experienced and reliable Asphalt Milling candidates may apply. Diagnoses complex mechanical and electronic problems utilizing diagnostic computer when applicable. Completes complex and detailed mechanical inspections & repair with minimal supervision. Replaces defective components as instructed. Works unsupervised on most tasks. Interacts with customers/duties to properly determine nature of complaint once assigned a task. Works in accordance with all federal/provincial and corporate guidelines(i.e., safety, DOT, MOT). Our company offers a Pension and Profit Plan, full benefits after 60 days, PTO time, holidays, exciting and fast paced work culture. Please put salary range with your submission. EEO Employer, Drug Free Workplace. Diesel Mechanic: 3 years’ Experience. Positions available at our Delray Beach and Orlando offices. Meet and develop relationships with customers to get job orders via: networking, cold calling, site visits, emails, lead generation, lunches, etc. Able to review blueprints, specifications, proposals, plans, & drawings. Manage a team of sales representatives and project coordinators to increase revenue and profit margins. Be active member in industry associations. Work with President, COO and marketing department to build a strong brand. Always be prepared while prospecting; have business cards, dress professionally, have pen/notebook, iPad on hand. Ask the right questions of the customer to get all their needs correct and determine their budget. Take photos and get proper measurements. Follow all policies to generate an accurate proposal. Work closely with Project Coordinator as she/he creates details of the proposal. Ensure that all proposals have budgets, lot drawings, measurements, and maps. Review proposal with owner(s) where appropriate. Responsible for meeting or exceeding certain number of proposals per month as assigned. Present proposal features and benefits. Educate customer on our process with payments, communication, timeline, working with subs. Review all questions and concerns. Maintain a valid driver license and the must have the ability to drive. Give signed contract to Project Coordinator to begin working on permits, liens, and to prepare final job jacket. Review specifications and other documentation to assist in the preparation of time, cost, materials and labor estimates for all phases of project * Consults with subcontractors * Confers with Project Manager as needed to clarify information required for contract plan review. Review with accounting if any special down payment invoices are needed before project begins. Ensure final job jacket gets to Production for scheduling of job order and communication to customer. Transfer all final specs of the job to Production and Operations so the “job” is performed above expectations. Take charge of preparing change orders and communication to Production, Project Managers and Project Coordinators. Get customer to sign all change orders. Oversees, monitors and audits assigned job sites for quality control through on site visits to review and get feedback from Project Managers and customers * Once job is complete, final walk thru are conducted and a final ACP releases are signed and check is picked up (in most cases). Continue maintaining contact and communications with existing customers to get repeat business and referrals. Develops, submits, implements, manages and reports on sales goals and business development plan in accordance with company policies. Attend all meetings, workshops, and training on time as assigned. Maintains product knowledge of existing and new product services. 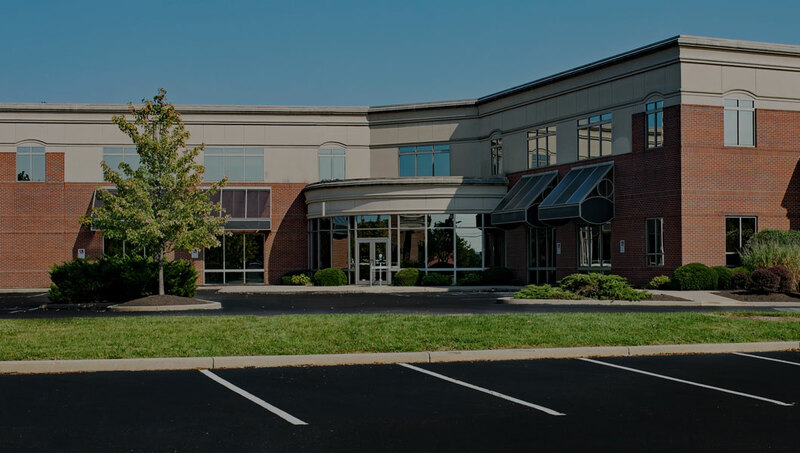 Maintains close, positive working relationships with field and administrative departments. If supplied a company vehicle, maintain and keep accurate records of it. Yes, a team of 6-10 sales representatives and 3-5 project coordinators. Reasoning Ability – Able to make sound decisions with minimal guidance. Familiar with MS Office, use of IPad and google earth. Knowledgeable in estimating in a paving, concrete, landscaping or construction type environment viewed as a plus * Able to review blueprints, specifications, proposals, plans, & drawings. * Excellent math and geometry skills * Excellent communication skills, both written and verbal * Clean driving record. The physical demands described here are representative of those that must be met by an employee to successfully perform the essential functions of this job. Reasonable accommodations may be made to enable individuals with disabilities to perform the essential functions. While performing the duties of this job, the employee is regularly required to sit, talk, or hear. The employee is frequently required to sit, climb, and use hands to finger, handle, or feel. The employee is frequently required to stand, walk, crawl, kneel, bend, and reach with hands and arms above their shoulders. The employee must occasionally lift and/or move from 10 to 100 lbs. Specific vision abilities required by this job include close vision, distance vision, color vision, peripheral vision and depth perception. The ability to drive a vehicle. Pension and Profit Sharing. Additional, benefits are medical, dental, vision and supplemental insurances. Please forward resume. Only qualified Sales Manager candidates need apply.